(TibetanReview.net, Apr05’19) – Amid persistent skepticisms about it role in improving the ground situation in the People’s Republic of China, the 37th round of the EU-China Human Rights Dialogue was held in Brussels over Apr 1-2 with the two sides explaining their divergent positions and raising specific issues and cases. The EU’s Special Representative on Human Rights, Eamon Gilmore, stressed the importance of the universality, indivisibility and interdependence of human rights while opening the dialogue, reported netherlandsandyou.nl Apr 3. The Chinese delegation, on the other hand, focused on achievements in economic and social rights, in particular as regards employment, poverty alleviation and social protection, the report said. The EU side was stated to have acknowledged that China had made progress on economic and social rights but insisted that equal weight should be given to political and civil rights. Furthermore, it has stressed that international laws and standards were universal and must be applied accordingly. 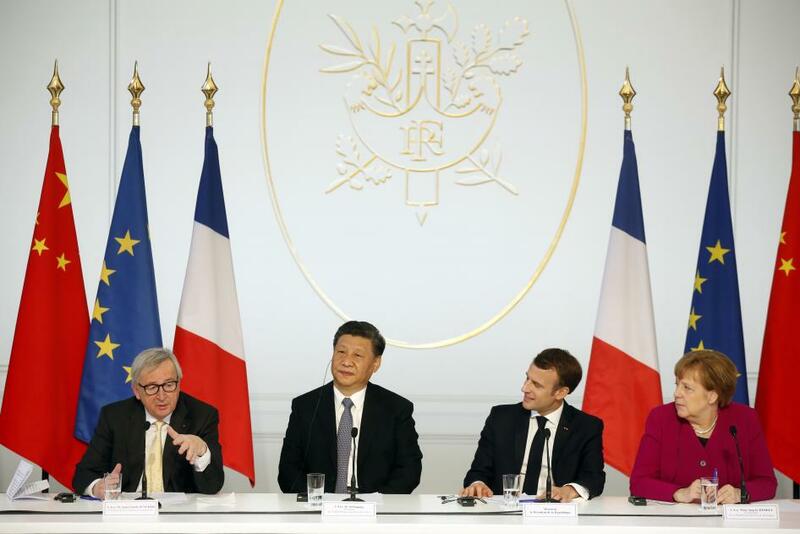 In this regard, the EU wanted China to expedite the process of ratifying the International Covenant on Civil and Political Rights, signed by Beijing in 1998, and to implement the recommendations of UN human rights bodies. While highlighting the deteriorating situation of civil and political rights in China, marked by the arrest and detention of a significant numbers of human rights defenders and lawyers, the EU side was stated to have also raised individual cases. These included Tibetan activists, writers and religious figures who had faced criminal charges or had been imprisoned for exercising their right to freedom of expression, including Tashi Wangchuk and Lobsang Dargye. The dialogue was stated to have addressed the issues of the protection of freedom of religion and belief, the rights of persons belonging to minorities, and the situation in Xinjiang and Tibet. The system of political re-education camps established in Xinjiang was stated to have been called a worrying development by the EU. Other issues raised were stated to have included torture, judiciary reform, China’s Foreign NGO Activity Management Law, labour rights, freedom of expression on-line and offline, and the freedoms of assembly and association. The dialogue was stated to have been co-chaired by Ms Paola Pampaloni, Deputy Managing Director for Asia and the Pacific in the European External Action Service and by Ms Liu Hua, Special Representative for Human Rights and Deputy Director General for International Organisations and Conferences, Ministry of Foreign Affairs of the People’s Republic of China. EU Member States have participated as observers to the Dialogue. Following the dialogue, the EU issued a statement on Apr 3, criticizing Beijing over its human rights record, ahead of a summit of top Chinese and EU officials in Brussels on Apr 9. Chinese Prime Minister Li Keqiang is to meet with European Council President Donald Tusk and European Commission President Jean-Claude Juncker, as well as foreign policy chief Federica Mogherini in Brussels by Apr 9, for the 21st EU-China summit.